George and I carpool to work most days, but on Sundays we drive in and park near the veggie garden gate. Since he has to be there a bit before I do, this gives me the chance to linger on my way in. 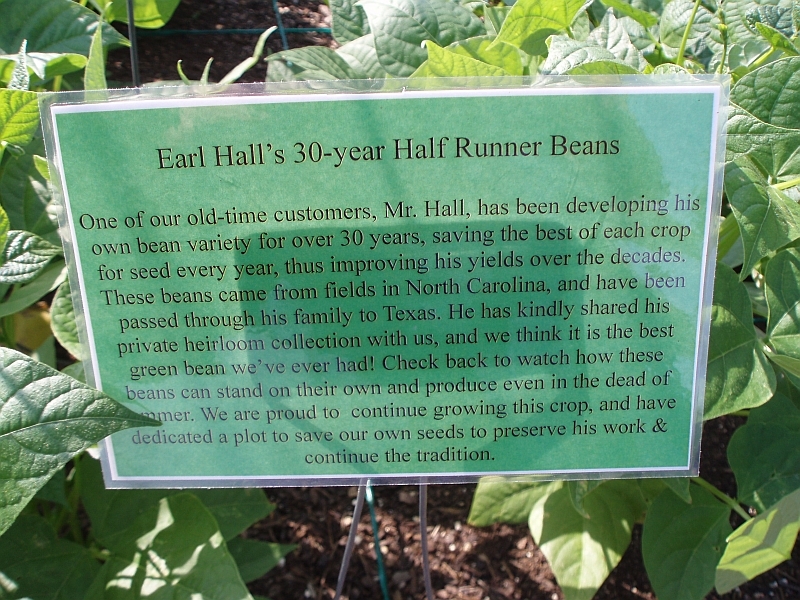 I noticed the other day that the grounds crew are growing "Earl Hall's 30-Year Beans" in a plot by themselves, marked with a sign giving the story. An heirloom I've never heard of! One from this area! Excitement. Next time I saw Roger, I asked about them. He said he had some seed out in the truck and would be glad to give me some, coming back in a little later with an envelope for me. 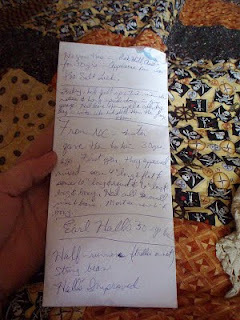 Serendipity struck ~ Mr. Hall himself came in to the nursery that day and I got to talk to him. 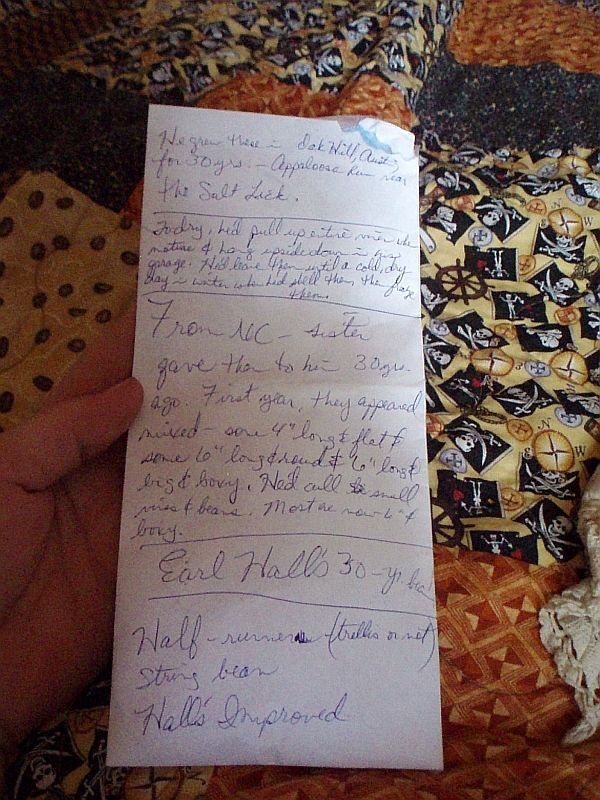 Mr. Hall was only too happy to talk about his beans, so I got the full story. I strongly feel that an heirloom's history must be preserved as well as possible, so that's what this post is ~ the story of Mr. Hall's beans, Hall's Improved as he calls them. Notes I took while talking to Mr. Hall. Mr. Hall is from North Carlina and has a wife who's not fond of beans. No matter what kind he tried, she didn't care for them. Blue Lake. Kentucky Wonder. Nope. And nope. So his sister sent him some seeds from back home. He doesn't remember what kind she said they were, if she said, but he grew them anyway. He noticed that they appeared to be a mish-mash, crossed seed perhaps. He said some pods were four inches long and flat, some six inches long and round, and some more six inches long and blocky. 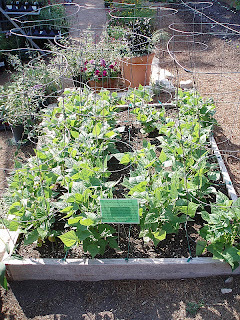 But all were half-runners, good for string beans. And his wife liked them! So every year since Mr. Hall has grown these beans in his Oak Hill garden, out near Appaloosa run he said, by the Salt Lick. 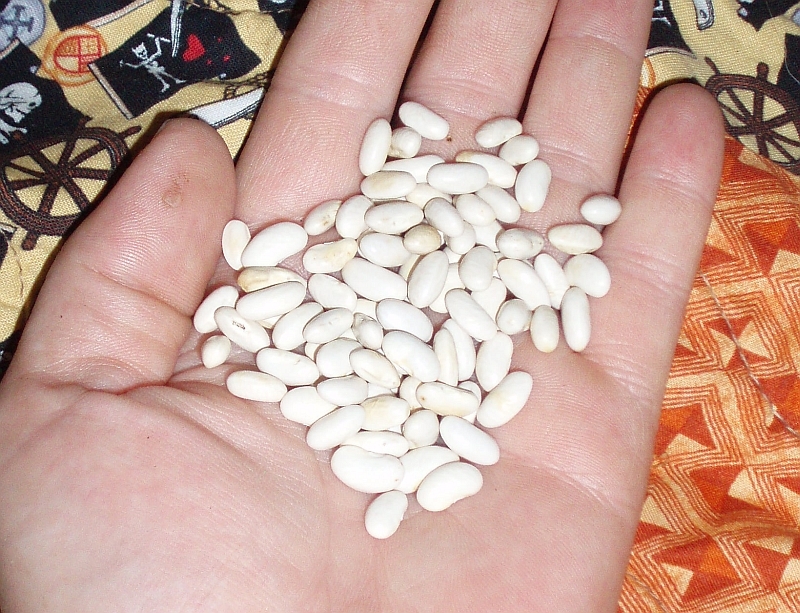 And he described to me in great detail exactly how he saves seed from them. First, he grows a separate row for seed saving only. See, he knows that if you grow beans, pick what you want, then let them go to seed for saving, you're unwittingly culling for late beans and will eventually put yourself out of the bean business. Smart man, that Mr. Hall. Then, he culls out small vines and beans. Once mature, he pulls up the bushes/vines and hangs them in the garage. He said he does this right before a rain is expected. He didn't say why, but maybe it's because the humidity in the air helps the vines and beans dry slower so more of the goodness of the vines and pods is absorbed into the beans? Maybe it's like transplanting on a cloudy day being better for the plants ~ makes it so it's not such a shock to the seeds? Dunno. But that's how I'm going to do it, too. Next, he said he waits for a cold, dry day in winter, takes those dried vines down and shells the seeds. This makes sense, since it would help ensure the seeds are dry enough for storage. You're supposed to dry beans 'til they shatter when hit with a hammer, which means the moisture content is low enough so they don't rot in storage. Bet a couple months in the garage, then shelling on a cold, dry day would do just that. Lastly, he said he puts them in a jar and in the freezer. He's careful to label them with the date so he can rotate through them, ensuring he has fresh seed stored so not to lose them. Another mark of his smartness. I can't wait to grow these. I plan to sow a few in the garden addition (if we ever get the paths shoveled out ~ didn't get to Thursday because of the rain, but I'm not complaining!). I don't care if it seems late. I'll just plant them in an area that gets evening shade. Might help them produce even once it gets hot. And, Mr. Hall, I promise to save them just like you have, and to be generous with giving the seeds to others who want to grow them, along with the full story. Best way to preserve treasures like this. Tomatoes Coming Out My Ears!